Five years ago, that is how this blog got started. A photo without a caption shared by Cathy Swanson. She only knew her father was there. 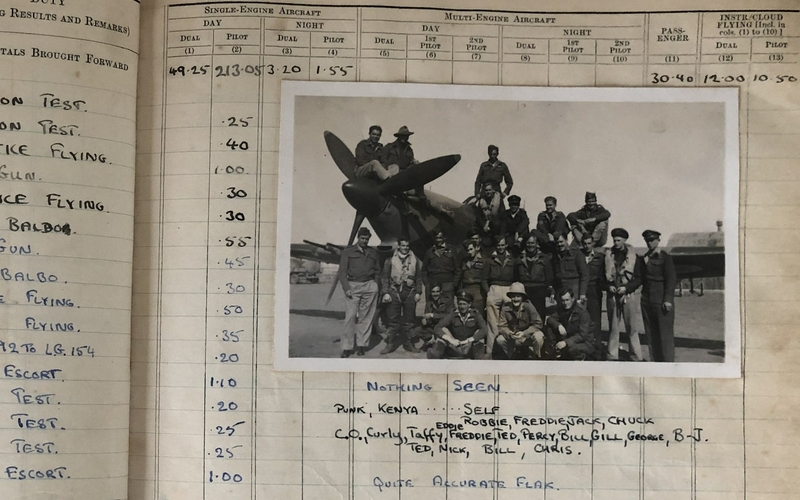 On April 24, 2019 Mark Gibson shared this page from his father’s logbook. The first delivery flight to Cairo left Takoradi on September 20, 1940. Like the flights that were to follow, it was a journey plagued by problems. In the Sahara Desert portion of the route, sand took a severe toll on the aircraft engines. There was no map of the route, and many pilots used ominously burned-out aircraft on the ground as their guide. In spite of these challenges, between August 1940 and June 1943, over 4,500 British Blenheims, Hurricanes, and Spitfires were assembled at Takoradi and ferried to the Middle East. Between January 1942 and the end of the operation in October 1944, 2,200 Baltimores, Dakotas, and Hudsons arrived from the United States (via the American base at Natal, Brazil, and a mid-Atlantic stop on Ascension Island), and virtually all of them were ferried in similar fashion. There were other final destinations via the Takoradi Route, including India. 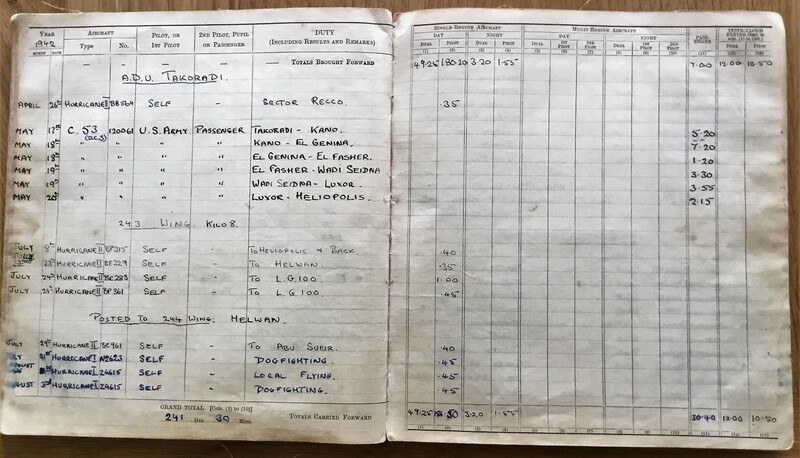 Having stumbled upon this blog by accident by looking at my Father’s logbook and trying to find out more about 238 squadron, since I sadly cannot ask him. 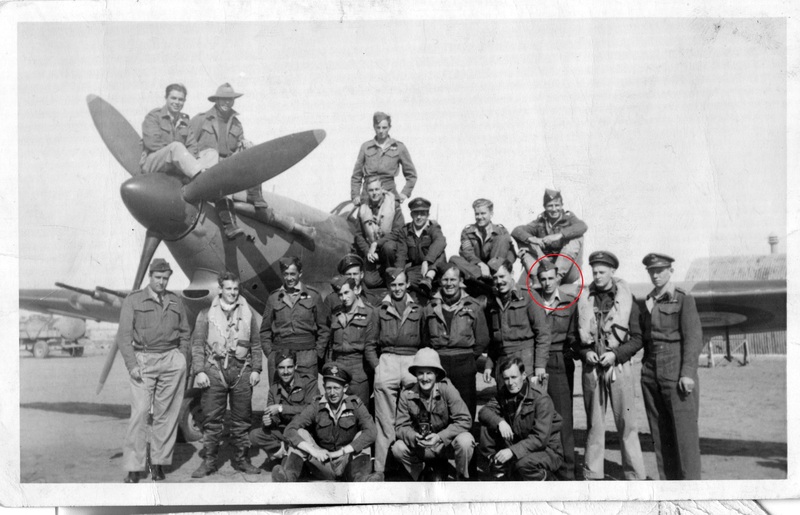 Not sure though of any interest, but in his log book he has a copy of the same photograph and names the pilots around the Hurricane. Any further information from anybody would be most welcome. Time for a pause with placing on the puzzle more than 200 pieces Wendy Davis and Richard Hall had kept of their fathers’ service in the RAF and RNZAF. A diary… and some postcards.